I love mushrooms in almost every way I have ever had them prepared. This recipe is another way that they are delicious and easy to prepare. I made these as a side but they could be an appetizer or a vegetarian main dish. Slice the mushrooms. Add the olive oil and butter. When the butter is melted, add the mushrooms and brown on high heat for about 2 minutes. Reduce the heat and cook until they are nicely browned. Add about 3 tbsp of vermouth to the pan to deglaze; at the same time, add the garlic clove. Allow the alcohol to cook off (about 2 minutes). Remove from heat. 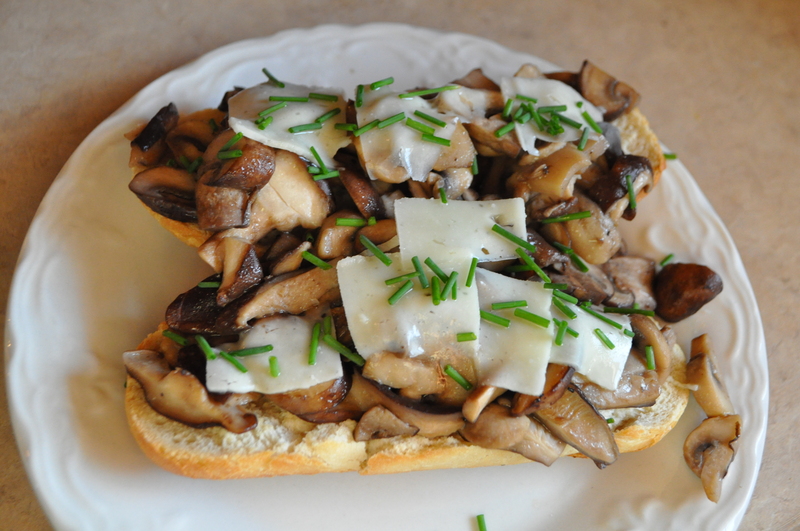 Top each toasted slice of bread with mushrooms, then Parm, then the chives. Serves 2 large servings or 4 small servings. Consider serving these toasts with a salad or a light soup. Looks and sounds delicious! 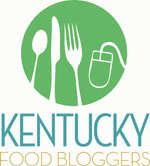 Bookmarking the recipe–thanks for sharing!